Parish Councils were created as a result of the Local Government Act of 1894. Generally they got off to a slow start and only really began to exercise their power following the end of the first world war. Parish Councils are the first level of local democracy, right at the grass roots so to speak. They can only act in relation to the powers that have been conferred by Acts of Parliament. The Parish of Shere is easily the largest in area in Guildford Borough. 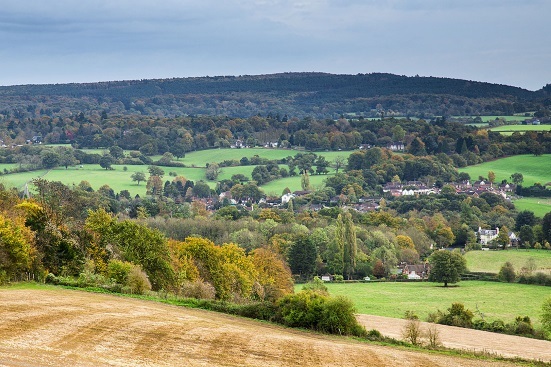 It is fairly unusual in that where most Parish Councils serve only one or two villages, Shere Parish Council serves 4.5 villages these being Gomshall, Holmbury St. Mary, Peaslake, Shere and a large part of Abinger Hammer (excluding the village centre). The Parish Council is responsible for administering local affairs. Approximately ten full Council meetings are held each year in addition to Finance, Health and Safety, General Purposes and Planning Committee meetings. All meetings are open to the public and there is an adjournment at every Council and Committee meeting to enable the public to comment on any item on the agenda or to address the Council. In addition, in order for the Parish Council to be fully effective it would be pleased if residents would contact the Council office if they have any issues, concerns or suggestions relating to the Parish. Elections for the Council are held every four years. The Parish Council is also an important avenue for the expression of local public opinion to other authorities. Planning Applications – The Parish Council is a statutory consultee for all planning applications which means that Guildford Borough Council have to consult the Parish Council on planning applications in the Parish. A Parish Council Planning Committee meeting is held approximately every three to four weeks and the Parish Council’s representations are then forwarded to the planning authority. Gomshall – Tanyard Hall, Gomshall – available for hire (please see separate item), two recreational grounds and a large playground at Goose Green, a playground and recreational area at Tower Hill Rise. Holmbury St. Mary – The Fir Pound, Felday Field and adjacent play area, Holmbury Football pitch, car park adjacent to the village hall, the village pump and surrounding area/small car park. Peaslake – Recreational field and play area near Peaslake School, the War Memorial and the bus shelter area in the centre of the village, Pond Lane car park, Peaslake Farm. The bank of the stream along the Ewhurst Road from the village centre to Peaslake Farm. Shere – The Pound, The Old Fire Station and garden, the Square, the bank of the stream in Lower Street, the area around the War Memorial, the Play area on the Shere Recreation Ground, The Swimming Pool field and the pool itself which is older than the Parish Council! The Parish Council also operates the public toilets in the Old Fire Station in Middle Street. In addition the Parish Council owns most of the bus shelters, seats, village signs and other street furniture in the villages and maintains these during the year plus other smaller areas of land throughout the Parish. For many, many years the Parish Council has contributed 50% of the cost of maintaining the three cemeteries in the Parish that are situated in the villages of Holmbury St. Mary, Peaslake and Shere. The Council is made up of thirteen Councillors – full details can be found on the website under the heading – “Councillors”. The Clerk of the Council works from the Council offices at Tanyard Hall on a daily basis. acts as an information point for local residents.